Research Interests: Materials Science and Engineering, Mineral Physics. Ph.D. Institute of Materials Structure Science (Photon Factory), High Energy Accelerator Research Organization (KEK), Japan Graduate University for Advanced Studies (GUAS), 1994. Postdoc. Center for High Pressure Research, State University of New York at Stony Brook, 1994-1995. 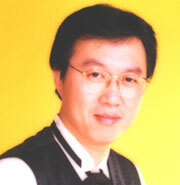 Faculty Member of Mineral Physics Institute, State University of New York at Stony Brook, 1996-2007.